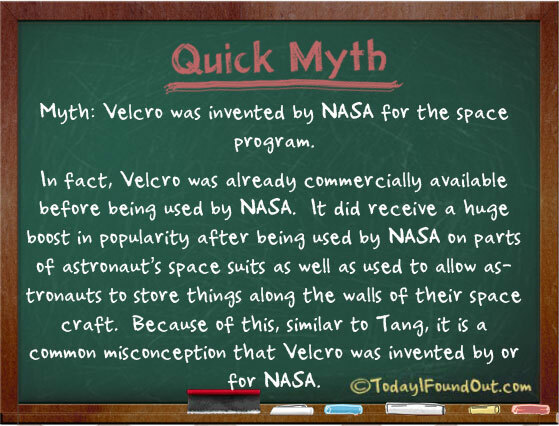 Myth: Velcro was invented by NASA for the space program. In fact, Velcro was already commercially available before being used by NASA. It did receive a huge boost in popularity after being used by NASA on parts of astronaut’s space suits as well as used to allow astronaut’s to store things along the walls of their space craft. Because of this, similar to Tang, it is a common misconception that Velcro was invented by or for NASA.